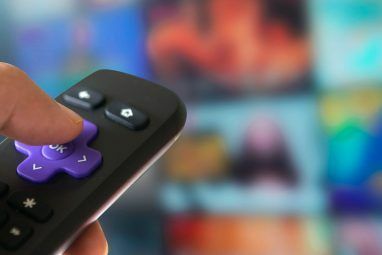 With the sheer variety of original content, old movies, and new hit TV shows available to watch online, it’s becoming increasingly common for people to ditch their cable provider in favor of Netflix, Hulu, and others. If you’re still holding on to your cable subscription – but are debating if its time to make a change – there are a few things you’ll want to bear in mind while you make up your mind. What do you stand to lose, what do you stand to gain, what options are available to you, and what is it going to cost? 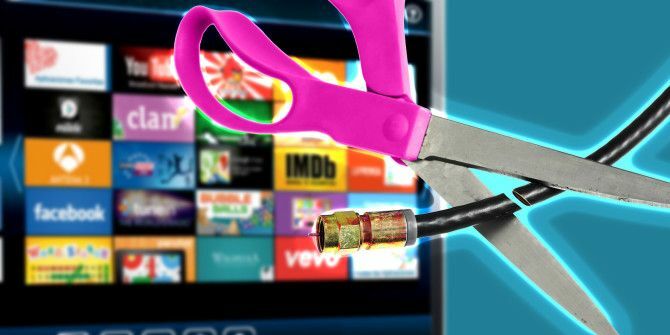 If you do decide to ditch the cable box, there are quite a few streaming options available Cut the Cord Forever With These 15 TV Streaming Channels Cut the Cord Forever With These 15 TV Streaming Channels Cable TV is in decline, as the internet provides cheap, on-demand entertainment. Here are 15 of the best TV streaming services to help you cut the cord. Read More whether it’s when it comes to choosing your online subscriptions or your devices. The three heavyweights in the subscription category are Netflix, Hulu, and Amazon Prime. Each site offers a variety of original content, the latest in movies and TV shows, documentaries, and foreign films. When it comes to determining which service is best for you, you can read our comparison of Netflix, Hulu, and Amazon Prime Netflix vs. Hulu vs. Amazon Prime: Which Should You Choose? Netflix vs. Hulu vs. Amazon Prime: Which Should You Choose? It has been years since we've compared heavy-hitting streaming services, Netflix, Hulu, and Amazon Prime. And with changes in pricing, content, quality, and interface, we thought it was time to revisit the topic. Read More , search the various sites with one app Search Netflix, Hulu, Amazon & More With This One App Search Netflix, Hulu, Amazon & More With This One App Wish there was a way to search through 30+ streaming services at once? This app makes it possible! Read More to see if your favorite TV shows or movies are available, or take a look at the latest that Amazon Prime 10+ TV Shows That Make Amazon Prime Worth the Money 10+ TV Shows That Make Amazon Prime Worth the Money Netflix is undoubtedly the king of the movie and TV show streaming services. However, Amazon Prime has some fantastic television shows that make it worth the asking price. Read More and Netflix 13 New Netflix Originals You'll Be Watching in 2016 13 New Netflix Originals You'll Be Watching in 2016 Netflix has released a lot of original content -- including House of Cards, Orange Is the New Black, Narcos, and Master of None -- but 2016 is slated to be Netflix's most exciting year yet. Read More have to offer in the way of original programming. You will, of course, want to take price into consideration as well. A breakdown of how much each service will cost you on a monthly or annual basis is included at the end of the article. What Are Your Device Options? When it comes to devices, you can either invest in a smart TV, or if you want to be cost-effective, consider investing in a streaming devices The 8 Best Devices for Streaming Movies to Your TV The 8 Best Devices for Streaming Movies to Your TV There are several ways to stream media to your TV, and deciding which way is right for you can be overwhelming. Let us help you explore what's currently available. Read More that can hook up to any HDMI-capable TV: the Roku, Apple TV, Amazon Fire TV, Google Chromecast, or gaming devices like the PlayStation 4 and XBox One. Be sure to read our comparison of the Chromecast, Roku, and Apple TV Chromecast vs. Apple TV vs. Roku: Which Media Streamer Suits You? Chromecast vs. Apple TV vs. Roku: Which Media Streamer Suits You? Media streaming devices are simply awesome. Those little boxes that connect to your TV can add a wealth of entertainment options to your living room. But which device is best for you? Read More for more insight into which device is right for you. 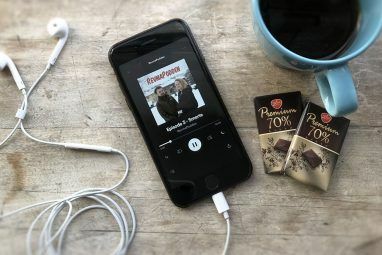 Devices like the Roku and Apple TV also have the added benefit of allowing you to access plenty of free content worth watching from the likes of Vice and TED Talks, as well as music services like Spotify and Pandora. Sports and Live Events: One of the most obvious ways a cord cutter loses when it comes to making the switch to streaming is live entertainment. While this can also be considered a gain in some cases (more details on that in the next section), it certainly is a loss in others. When it comes to live sporting events, major national events, awards ceremonies, and other significant events that are broadcast live on TV – you’re out of luck. If you are a diehard fan of any given sport, you might find yourself having to spend quite a bit extra alongside any other standard online entertainment costs once the basketball, baseball, and football seasons kick off. Special online packages are available for a lot of major sports, and in some cases the cost decreases the further into the season you get, but it’s still pretty pricey. Major League Baseball fans, for example, can watch MLB TV, which can cost you anywhere from $25-a-month to $80-a-year. Hockey fans will pay $159 for a season pass, and NBA fans are looking at $120 to $200 for a season pass, or $7-a-game. These services will also blackout games that are played in your local area, so unless you support a team in another state, this can prove to be pointless. A One Day Delay: When it comes to TV shows, if you’re turning to Hulu or HBO NOW to watch your favorite TV shows, that means you’re always going to be one day behind. If you’re a particularly social consumer of entertainment, this one is going to be annoying. You’ll probably have to avoid social media, and all other potential sources for spoilers, until you get to watch the TV show yourself the next day. With late night shows which provide commentary on that day’s news like The Daily Show and Full Frontal with Samantha Bee, you’ll also constantly feel like you’re one day behind. The Collective Experience: Something else you’ll lose, which won’t matter to everyone, is the collective experience. This is particularly true for major TV shows, reality shows, and talent competitions. If you’re a reality TV buff in particular, you might find yourself missing out on the live-tweeting fest happening on Monday nights during The Bachelorette. Other TV shows or events that incorporate social media into their live experience will also be a loss. On The Voice, for example, live viewers have been able to take to Twitter to save their favorite contestants in real time. Lose Out on Certain Shows: Not all shows are available on services like Hulu and Netflix. If you’re a fan of Samantha Bee, you can only watch clips of her new show Full Frontal with Samantha Bee, on YouTube. Most of the popular Bravo reality TV shows are restricted to the Bravo website, which requires a cable subscription. You can watch five episodes of CBS shows like The Big Bang Theory for free, but to access the full catalog of shows, you have to sign up for an additional subscription. If you have a favorite show you can’t live without, be sure to find out if it’s available to stream online and where. Exclusives: When it comes to some of the online entertainment giants – they are putting out a lot of excellent shows and movies that are exclusive to their online networks. At the 2016 Emmy Awards (which you ironically will have a hard time watching if you cut the cord) – Netflix is up for 54 awards, putting it third after HBO and FX. Amazon also is in the running with 16 nominations. Unless you have a Netflix or Amazon account there’s no way to see award-winning and immensely popular shows such as House of Cards, Transparent, and Master of None. While Hulu isn’t in the running for any Emmys this year, it’s definitely also stepping up its original content game. Hulu is now home to The Mindy Show, Casual, 11.22.63, and The Path. Amazon Prime users can also now watch the first season of Mr. Robot for free. Watch Anytime: While you lose out on the live or collective aspect of TV, you do get the luxury of watching any time you want to, and pretty much anywhere. With cable providers, the ability to DVR programs to watch later comes at an extra cost and you can easily find yourself running out of space on your DVR machine. To watch your content anywhere but in your home also comes at an added cost. With all the online options, tablet and mobile apps mean you can take your entertainment with you anywhere there’s a decent Wi-Fi connection. What Are You Going to Save? If you were to sign up for all of the services above at their cheapest rates, you could pay $81.52-a-month. This will, however, require you to pay the full $79 for Amazon Prime upfront. Going with the monthly price for Amazon’s streaming service alone, minus the shipping perks, it still only comes to $83.93-a-month. At the high end of the spectrum, you would be spending $107.93-a-month. Most people don’t choose all of these services as there tends to be a significant overlap in programming. If you were to choose the three services that are going to get you the most variety – Hulu, Netflix, and Amazon Prime – you’re looking at a bill of just $24.97-a-month. The average American household spends $99.10-a-month on cable, so if you fall into that category, you’re looking at savings of around $74 every single month. But not everyone is spending $100 on cable. Cable prices are tricky because cable providers bundle internet and telephone service in the price to make it a more attractive offering. Basic packages with Time Warner, for example, can cost as little as $20-a-month for 20 channels, but the selection is extremely limited and excludes sports packages. With most companies, once a promotion is over, you’ll find your cable bill climbing. So, are you considering cutting the cord? Have you actually already made the change? Or are you happy to stick with cable TV for the time being? Please let us know your thoughts in the comments below! Explore more about: Amazon Prime, Apple TV, Chromecast, Hulu, Media Streaming, Netflix, Roku, Television. Obviously you can’t completely cut the cord if you want streaming services, since you need access to the internet. You can however get rid of cable tv and save money. After getting a bill for over $300 from my cable company, I decided it was time to make some changes. I canceled cable tv: got an indoor antenna, Hulu live with HBO, Netflix and Amazon Prime. I still have my phone and internet with the cable company and am saving $70 a month. I miss the convenience of cable tv, but have many more choices of tv programs. Giggle Giggle. If you cut the cord, you lose your internet connection and phone connection too in most neighborhoods. Therefore, recommending various internet streaming options would seem kinda dumb unless you've got an unlimited cell data plan or satellite. A $20 investment in an indoor antenna gets me all the local channels, including HD and that's all I need for the 3 hours of TV I watch each month. For the most part the content is such garbage and especially their fake news stuff It's not worth spending $50-160 a month. However, you can't "cut the cord" if you still need internet. Some editor somewhere missed this basic fact. Exactly! Where I live cable offers the best internet speed. If I used ATT for internet the low speed results in constant buffering that can drive a person crazy. My cable plan is bundled so if I drop the TV and phone just having onternet is more expensive. While I do use the streaming services of Netflix, Hulu and Amazon Prime. I rarely use prime because they offer 1 or 2 seasons of a program as free then if you want to watch the remaining seasons, it is $1.99 an episode or $24.99 for a season. I may look to prime for an occasional movie. But mainly we shop on amazon frequently and the free shipping pays for itself. I do need to clarify that I am 100% disabled and spend 2/3 or my time alone so TV is a welcome distraction. So until I can find a better internet option I can't cut the cord. And there are 3 dollar antennas at Menards that work well enough. FYI, I have 35 Mbps. "Giggle giggle" on that. I say CUT THE CORD !! I cut mine last year and purchased an android box. The one I got is from MyMatrixTV. But there are tons of android boxes on the market to choose from out there. Some obviously better than others. I don't miss my cable bill. At all. Have you had any issues with this android box? ? I'm looking to get one, but not sure where to start. Where did you get the MyMatrixTV streaming device? Best new service is actually from Sony, it is called playstation Vue. $40 a month gets you over 150 channels of live TV. All Same networks you get with regular cable and it works with Roku, Fire TV and Playstation 4. I absolutely love it. or my phone to my tv and now just 2 month ago I'm using fire TV and is amazing I even see live show if iI have to buy it again I would not think it twice to do it and if you got Fios buddy you will never get back to cable it doesn't matter all the offers they give to trick you. This must be a biased cable company based article. Lacking tons of information for supporting ways to lower budgets by axe'ing the cord, which Will save you money. For people who Need lots of channels, including Multiple Premium channels including Hbo, showtime, etc., then keeping cable Is a viable option because paying al a carte for internet and all those channels would be slightly the same price, if not more. However for most people who have their favorite channels and dont need Everything, an HD tv antenna and a streaming service is All you need. I was paying $140, add a couple rented movies $150+ a month for cable and internet with Comcast. Switched to just Internet ($70 package, could probably go to the lower one and save myself $30) and PLAYSTATION VUE (WHICH ISNT EVEN MENTIONED HERE) and couldn't be more happier. No more paying for absurd 'cable' fees, cable box fees, etc. PSVUE ($30 for lowest package without local channel access, but more channels than sling)is accessible through MULTIPLE devices, including smart phones, not just a playstation 3 or 4 console WITH cloud based dvr service. Saved myself over $40 a month..might make it $70 soon. So could you. I have Sling and my roommate has PlayStation Vue. Add Netflix and we have ZERO longing for cable. He doesn't watch sports and I only watch the NFL and college football and most of those are over-the-air and Sling is adding RedZone and NFL Network (to go along with a slew of ESPN channels and FOX Sports). It does as that cost is factored into the monthly cost of entertainment. Just as its a cost of a cable bundle. Usually the monthly bill quoted is a bundle that includes Internet and video. Take that and the prices above and add 50.00 for broadband. I am sunrise you failed to mention Sling TV competitor Playstation Vue, which unlike Sling TV does offer cloud based DVR for all channels. And prices range from $29.99 - $44.99, or $39.99 - $54.99 if you live in a market that offers streaming of local channels. Why no mention of hooking up a Tivo and use OTA? I bought my Tivo off of Craigslist with lifetime service so I pay no monthly fee. Now I record OTA channels and can stream Netflix, Hulu and Amazon Prime all through my Tivo. A simple, elegant solution that should be seriously considered by any potential cord cutter. I cut the cord 5 years ago and never looked back. I think you need to mention the fact that none of the cord-cutting options, except the OTA major networks which are free, will work without an internet connection so that cost has to be factored in. Assuming you already have broadband access, you may have to upgrade your broadband connection depending on the number of household users. Un-bunduling your broadband internet connection from the rest of your services may also increase that internet cost. Like it or not, I can get a cable/satellite subscription without internet service. I don't think there is anyone who reads MakeUseOf without internet service at their home. So the point is moot and really does not need to be mentioned. I think his point is still fair as far as upgrading bandwidth is concerned. While many people may be able to get by with bandwidth as low as 5mbps for occasional home use, it very well may not work for regular streaming needs. Also, a wired bandwidth connection is preferred to a wifi connection, so that has to be taken into account. My TV is right next to my router so it's not a problem to link them with a cable, but it would require some planning if someone's TV is in a different room. I cut cable about two years ago and now rely on three Roku' (two, three and a stick) with Netflix, Amazon Prime and other free channels on their site. For news, we watch local air channels and Roku's news offerings which are current stories offered by CNBC. But, there is a FOX news channel and WSJ channel which give pretty well rounded news updates. PBS (adore their cooking shows, which I never watched when we had cable). speaking of which, we get great seasons and episodes of various Food Network shows on both Netflix and Amazon. I installed an antenna on the side of the house to bring air channels in better, and that has worked superbly. Paid for itself in the first year or less. We do miss live sports; Milwaukee Brewers and some GB Packers, but many Packers games are broadcast on local channels. Really miss baseball, but the pain is offset by the savings w/o cable tv. Formerly, the bundle cost $164 monthly. Now the cost is $63 for high speed internet from the cable company. I prefer to have a land line of sorts so I did also invest in Ooma, a voip device that works great. Never miss cable-and certainly don't miss that big bill. We watch tv every night and have never run out of new things to watch between Netflix, Amazon and the air Movie Channel. The only thing that could seriously hurt the experience is if the cable company started raising rates for single internet usage. So far so good. You completely ignored over the air. Yes you can still get TV using an antenna instead of a cable. The OTA signal is FREE. You will make a one time payment for an antenna. What you spend on an antenna is going to depend on where you live and where the TV transmission antennas are. If you are in or reasonably close to a metro area, you will get all of the usual networks - no delay and at full high resolution. And often multiple extra channels through the local broadcaster. But again, many sports events are no longer broadcast - especially baseball. I have not seen a baseball game over the air in 2 years. The antenna can be a adjunct to your other alternative source as most TVs do allow multiple sources - I have an antenna and chromecast. My antenna cost around $30. And my monthly cost for TV is exactly Zero. I could easily add Hulu or other services without losing either of the others if I wanted to pay. You could even use the antenna along with a low cost cable subscription. And when watching something like football, you actually get the signal a few seconds ahead of cable viewers. (Maybe you can win a bet with your brother in law when you know the outcome of a play before he does) Plus, often the cable companies will compress the signal meaning the uncompressed picture from an antenna is actually better than cable.